As reported by The Canberra Times, brothers Dan and Drew Kenny (along with their third amigo Mark Whithear) are on the verge of replacing the recently closed All Bar Nun with a new venue in the leafy streets of Griffith. Those who’ve followed All Bar Nun for some time now will be intrigued to see what the boys have in store. Not ones to mess with a winning formula, we expect Gryphons Caffe Bar to feature many of the elements of All Bar Nun that made it a success for almost two decades. Oh, and in deference to the logo, we’ve also left the apostrophe out and added an ‘f’. Well, the boys have certainly set an ambitious target. One market firmly in their sights is that of early morning coffee trade. The folding windows at the right hand side (in the lighter wood) are perfect for dispensing non-licensed product straight tho those waiting on the footpath. The plan is for an opening time of 7.00am every morning. As you might expect, Gryphons aims to be more than a coffee shop. As reported by the Canberra Times there will be ten beers on tap, a large wine selection, a big screen television (is there any other these days) and a large deck overlooking the old Griffith Oval. Clearly, from the bar shot above, there is still a bit of work to do. 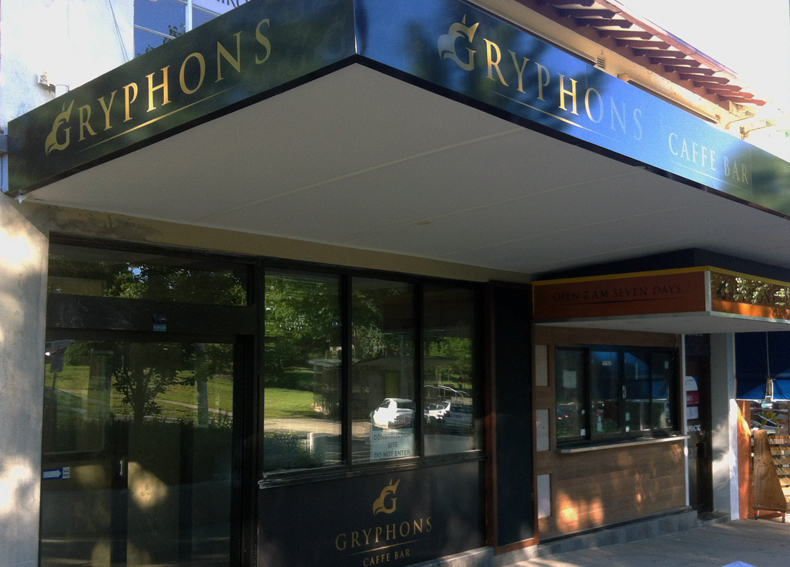 Gryphons doesn’t look like meeting a previously expected opening date of this weekend. 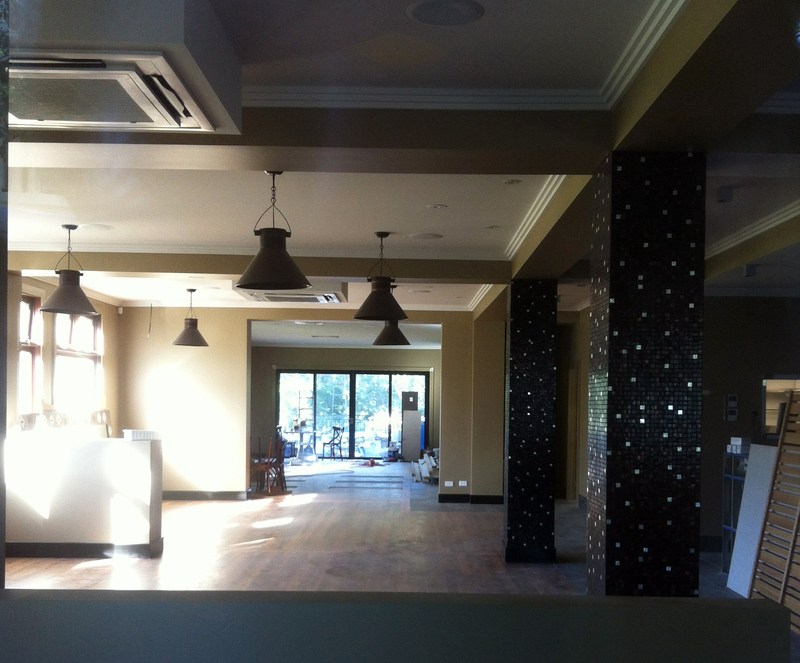 That said, our sneaky peek through the window suggests it will be worth waiting a little longer, especially given the current lack of a fresh and laid back pub in the Inner South. Stay tuned for a full review soon after Gryphons throws its doors open to the public. 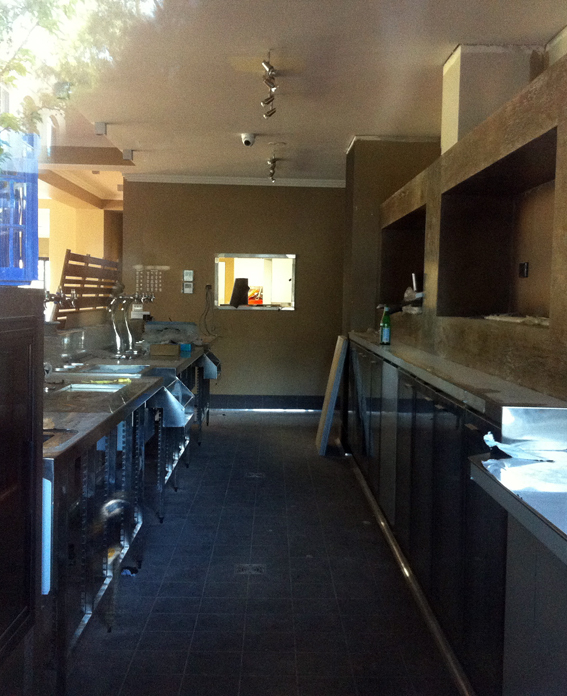 The crew is also looking to re-open Marinetti’s in O’Conner as a wine bar simply called ‘The Nun’. We’ll check in there as well over the coming weeks and report back when we do. Disappointing experience. Young bar staff treated our group like children – our ages spanned from mid thirties to mid fifties. Prices are excessive, the wine cost $65 at this venue, where other venues charged $23. Would nit return and would nit recommend. Really bad, very expensive and poor service. I would not go back.